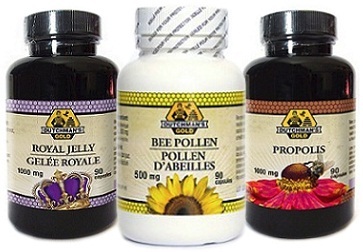 At Bee Pollen Buzz, we stock premium bee pollen supplements in granules, capsules and even chewable tablets. 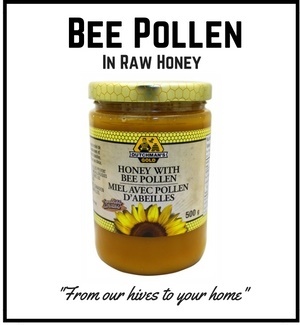 See below for our selection of bee pollen products. Click on the product image below for more information about each product including pricing and sizes. • Best of both worlds! Both my husband and I take a tablespoon of the granules each morning. He'll often take an extra tablespoon when he gets home from the office as a quick little snack. As an avid cyclist who often trains on his bike when he gets home from work, he'll often consume a tablespoon right before training to provide energy. He also finds it really kills his hunger pre-workout. Mark read about a gentleman who consumed several cups...yes, cups of bee pollen per day. He was in his mid 70's and would run for an hour a day PLUS do a weight workout, swim AND work a full day. Naturally, Mark was intrigued by this. Bee Pollen Supplements - How Do They Taste? 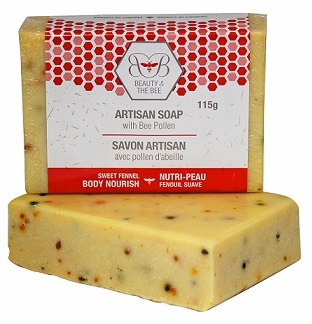 Probably the best person to describe the taste of raw bee pollen and the acquiring of the taste for it would be my husband Mark as he started out taking bee pollen just a few years ago and remembers well his first taste. I on the other hand started eating bee pollen when I was an infant so no memory there! 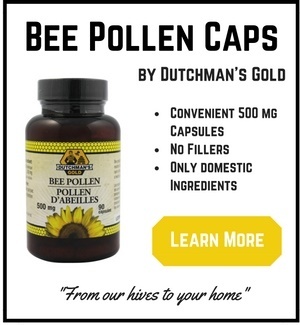 I can still remember my first taste of a raw bee pollen supplement a few years ago. It had been recommended to me for my severe seasonal allergies so I had decided to give it a try in the months leading up to the summer time. Crunchy at first bite, the bee pollen granules tasted like nothing I had ever really eaten before. They had a slight sweetness to them but by no means did I love eating them. I essentially had to make myself consume them for the first couple of weeks. But then something changed. 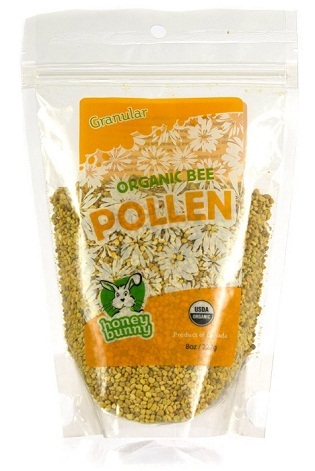 I noticed that I stopped noticing what the bee pollen tasted like and actually started to look forward to eating it. I had begun developing a taste for the bee pollen without really realizing it. And I noticed that they began to taste sweeter and sweeter. Not sugar sweet, but a nice, natural sweetness. 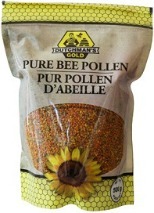 I now can truly say that I really like the taste of bee pollen and truly enjoy eating it several times per day. Especially after the effects it had on my seasonal allergies! I find I can use it for a quick snack mid day to curb my hunger pangs. Or sometimes i'll even use it right before I exercise for some extra energy. If you just can't stand it and don't seem to be acquiring the taste, you can always use the capsules or tablets. I'd also like to mention that I was definitely one of those who experienced side effects when they began taking pollen. I would almost instantly get an itchy and scratchy throat after I'd swallow the pollen. This was very similar to the seasonal allergy reactions I'd get in June with hay fever season. With several weeks of daily use, this reaction gradually just disappeared and I've never experienced it again. Clearly, my body has developed the ability to handle the different pollens. I did experiment with going off of bee pollen supplements for a short time to see if my symptoms returned. I stopped taking pollen for a month and when I went back to taking it, sure enough the itchy throat symptom reappeared. But within a week of consistent use, it disappeared again! One thing I'll warn you about is that it is quite common to see minor color variations from batch to batch with bee pollen. Don't be concerned about this as it is actually quite common. 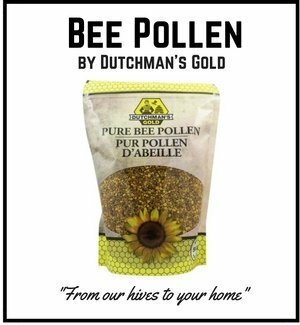 Depending on the time of season it was harvested and where exactly the bee pollen is coming from, you may see either lighter or darker shades of pollen. The different shades can also be an indicator of the nutrients found in that particular pollen. Different nutrients yield different colors. Obviously, you won't experience this with tablets or capsules.